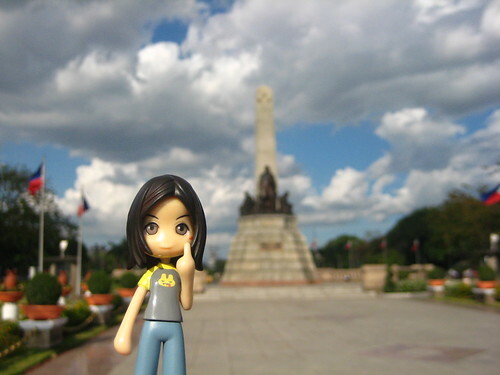 While everybody headed out of Manila to spend Holy Week at the beach or shopping overseas, I stayed in Manila. Hardly anyone I know (well, the partyphiles anyway) wanted to stay in Manila during Lent because they all know Manila would be dead and deserted. And that’s why I wanted to stay in Manila. Manila without traffic is heaven. 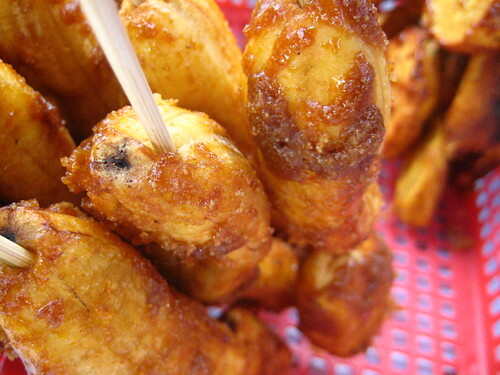 It’s so great to drive around — my friends picked me up at 3:00 pm, and we were at Quiapo by 3:20. That’s where we encountered the traffic, Quiapo Church. There were too many jeepneys and all of them waiting for passengers. Once we got past the traffic, the roads were virtually empty again. 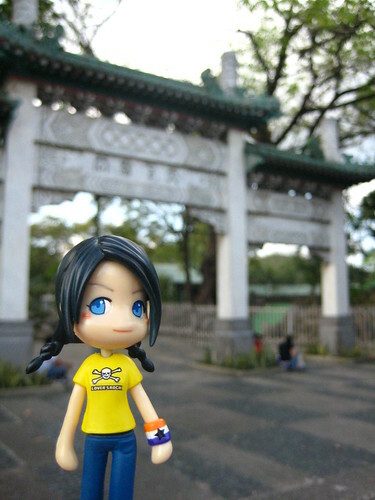 The destination was Luneta, but we decided to check if Fort Santiago was open. We entered Intramuros and we were able to have a running tour of the walled city as the road between San Agustin Church and the Manila Cathedral was closed to vehicular traffic. To our disappointment, Fort Santiago was closed. 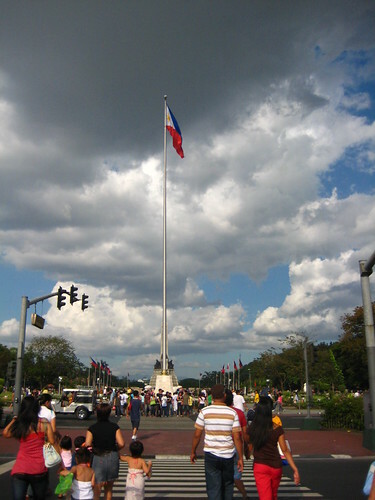 We drove on to Rizal Park. Err, hero’s walk? 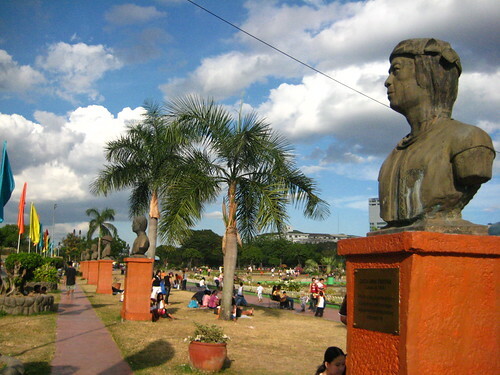 This pathway was lined by busts notable people in the Philippine’s history. We parked at the Quirino Grandstand, right in front of the entrance to the Manila Ocean Park. We would’ve gone inside (and escaped the sun and the heat), but we decided to put off the visit until the entire complex is finished. The field across the grandstand was filled with people flying kites. The kites made me remember the times we went to the cemetery during All Saint’s Day. We made our way to Kilometer 0, the starting point for all kilometer markers around the Philippines. I was instantly reminded of the first time I encountered this marker. It was the starting and end point of this race I unwittingly signed up for almost four years ago. 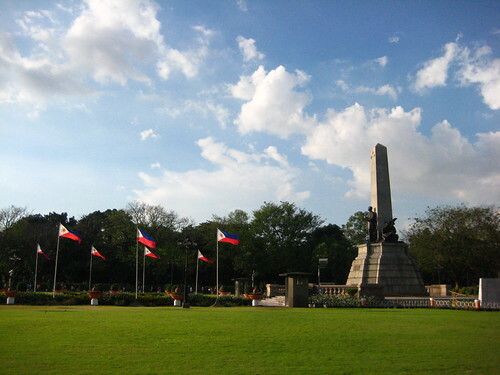 That was also the last time I remembered being, rather, passing through Rizal Park. I’ve always thought that Luneta was just that strip of land between Roxas Boulevard and Mabini. It turns out that Rizal Park starts from Taft Avenue (where that bas relief map of the Philippines is) up to the Quirino Grandstand. Not only that, there’s also several gardens within the complex: the Chinese Garden, the Japanese Garden, the Manila Orchidarium, and the Artist’s Haven. Unfortunately, they were all closed, so we just walked around Luneta, enjoying our bananacue, green mangoes with bagoong and C2 iced tea. When we got tired, we made our way back to the car and decided to check if the Paco Park was open. It wasn’t, so we decided to go to the CCP complex instead. If it was a regular day, we woulnd’t even thought to go to Paco park or even go near Taft Avenue. Because there weren’t many cars on the road, it was joy to drive around Manila. We also realized that in between us three, we can manage to navigate around this city. 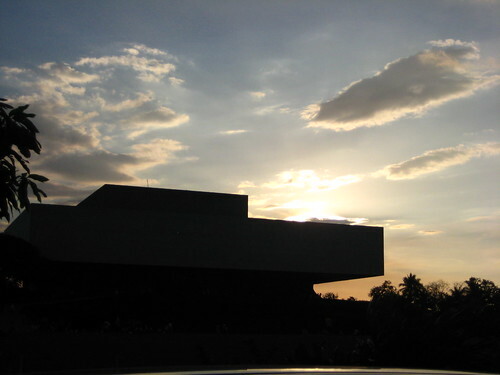 Tired from our walk around Luneta and not wanting to brave the heat again, we just drove around the CCP complex, then headed home. This trip made me realize that though I can find my way around Manila, I never really stopped to see what this city has to offer. I have been to most malls in Metro Manila, but I haven’t really gone beyond that. Well, that’s going to change. I promised myself that I will explore Manila more this year, and I’m making sure I would. Now, where should I go next week? Want to go around Manila but don’t have a car? Or do you want to live on the edge and brave Manila’s transport system? I found a nifty guide on getting around Manila by public transport. This guide lists various tourist attractions around Manila and would definitely would be useful even to locals like me. Thanks Fran! Spending the holy week in Manila wasn’t so bad pala. It’s interesting kasi there were so many food places opened last Good Friday, whereas several years ago, there were hardly any establishments open. my friends picked me up at 3:00 pm, and we were at Quiapo by 3:20. Poll: Where would you go?